As an industry expert, Stephanie Nick is nationally recognized as #7 on the 2016 REAL Trends/The Wall Street Journal Report, and locally acknowledged by the Austin Business Journal as 16th on its List of Top Producers. She combines an established marketing background with local market expertise to serve her clients throughout Austin’s varied neighborhoods and communities, resulting in more than $125 million in residential sales. A senior vice president with Kuper Sotheby’s International Realty, she is consistently a top-producing agent since joining in 2008. Nick is adept at helping buyers find homes that will meet the unique needs of their individual lifestyles, coaching them through the purchasing process. A sought-after speaker, she regularly presents on Austin’s real estate market to a diverse range of groups and organizations. Most recently, she was a featured speaker on Business Innovators Radio, where she discussed how she built her successful real estate career. She also was featured in “Local Einsteins: Real Estate Books Authored by Local Experts,” which provides information on the local real estate market. 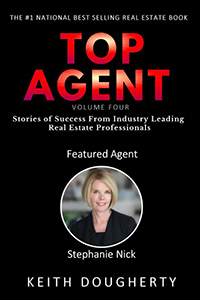 She will be included in the upcoming book “Top Agent: Stories of Success From Industry Leading Real Estate Professionals Volume 4.” Her clientele has included many influential and widely known people, who value her confidentiality, experience and honesty. Nick, a Tarrytown resident, specializes in serving the Central Austin, Lake Austin, Westlake, and Barton Creek communities and brings a deep understanding of current market conditions to help buyers find the ideal property. Thanks to a background in advertising and marketing, she is highly effective at helping sellers close quickly and for top dollar. Nick also works with investors – many from out of state – in the acquisition, rehabilitation and selling of investment properties in the Austin area. Prior to entering real estate, Nick worked for several technology companies in corporate communications and advertising agencies. She also owned her own marketing firm. She is a member of the Austin Board of REALTORS® since 2005, the Austin Luxury Network, the Institute for Luxury Home Marketing and the Million Dollar Guild. A graduate of San Jose State University in California, she holds a Bachelor of Arts degree in public relations with an emphasis in marketing. Nick volunteers her time to help local nonprofit organizations by planning and hosting charitable events. Among her personal interests are sailing, travel and enjoying Austin’s lakes and music scene. She has three daughters.